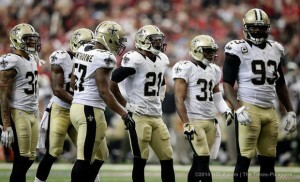 « Poll: Saints Vs Falcons Week One – Who Wins? After all that was said and done after last weeks spirit crushing loss to the Falcons, the thing that the Saints need to remember is that they do have a game, on the road, against the Browns. It’s tempting to say ” but it’s the Browns we should annihilate them no matter where the game is”. That kind of thinking is part of the reason for the loss in Atlanta, the Saints would be well served to get into a one week/one game at a time attitude and keep it for the rest of the season. In week one the Saints offense had the third most yards from scrimmage while only one team gave up more yards from scrimmage than Cleveland’s defense (yep it was the Saints). Cleveland’s defense gave up 127 yards on the ground and 363 passing yards against the Steelers last week. The Saints offense rolled up 139 yards on the ground and 333 yards through the air.The Saints were able to get production with their running game which usually bodes well. Add in the passing game clicking and it’s easy to see how they put up 34 points and probably should have had more. Cleveland’s defense did not look good in the 1st half, but after making adjustments were very competitive in the 2nd half. 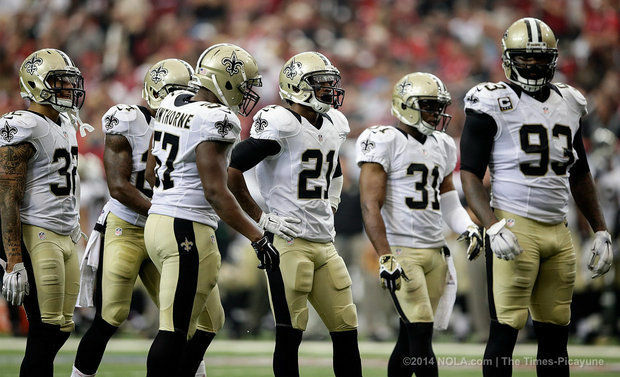 That’s the defense I expect the Saints to face, especially with Cleveland playing at home. Saints Defense vs Browns Offense. Time to see if we have the 2012 defense or the 2013 defense. I think most Saints fans have a pretty good idea of where the Saints defense ranks after the Atlanta game, so let’s see how Cleveland’s offense did against the Steelers. The Browns had 183 yards rushing and 206 yard passing, they also didn’t turn the ball over and after falling behind by 24 points they came back and almost pulled off what would have been the stunner of the weekend in only losing by a last second field goal to the Steelers in Pittsburgh. So this is not a gimme game for the Saints defense, with the Browns showing a strong running game and being able to pass the ball enough to keep the safeties honest, the Saints defense needs to use this game to get their and the team’s season turned around. In my mind this is a no excuses game, the Browns offense will come ready to play and the Saints defense needs to man up and show some pride. The loss last week wasn’t all about the players, Ryan and his assistant’s were out coached and out schemed and it made a lot of Saints fans wonder if last year’s defense was real or an aberration. Either way, this week it’s time for the Saints to get their season started, then we can write off last week as just one of those things. But if the defense doesn’t get it together this week it might be the beginning of a long season. My money is on the Saints, 27-10 against the Browns on Sunday.